It’s not practical to pack up a high chair and take it with us on our trip. We visit my dad about every 6 weeks or so for a weekend, but high chairs are expensive so it doesn’t make sense for us to buy an extra one to have in Savannah when (unfortunately) we aren’t there that often. 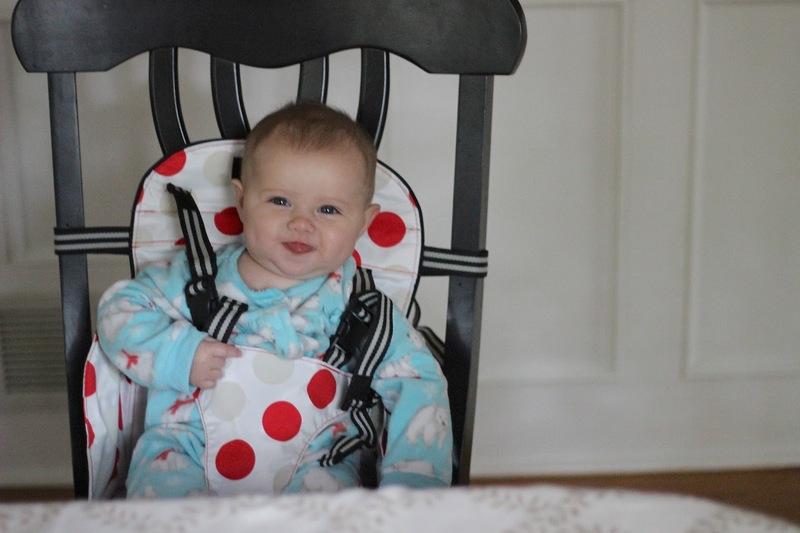 Luckily, the Go Anywhere Booster Seat acts like a portable high chair that can be strapped on securely to any chair. 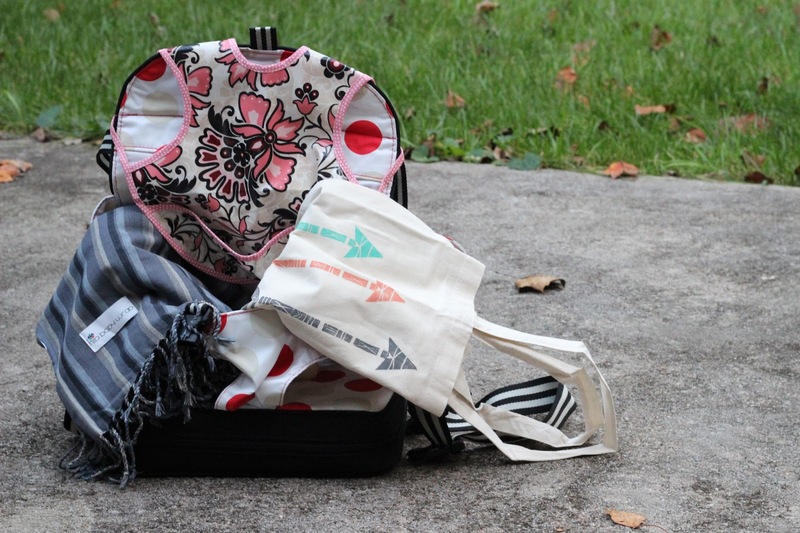 It’s lightweight, easy to pack up and carry over your shoulder, and comes in cute patterns. I was worried I wouldn’t be able to figure out how to secure it to the chair but it is really easy to do and seems very safe. 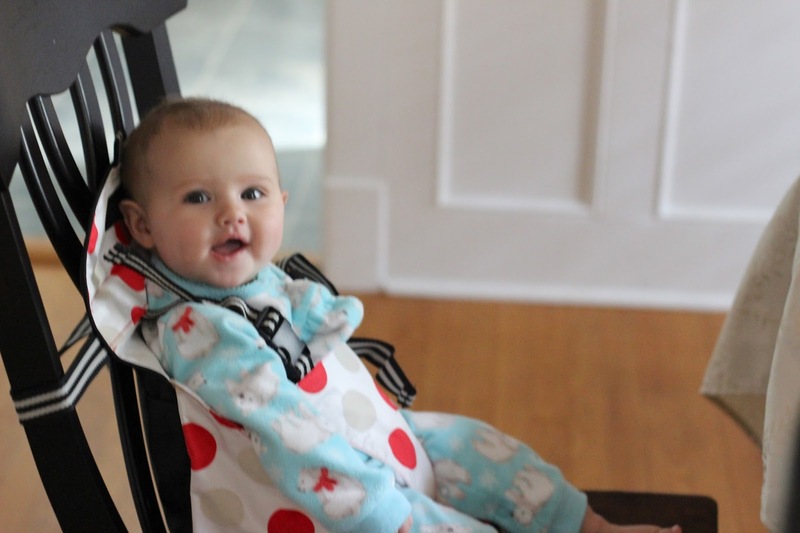 I love this chair for traveling, and it will easily come with us on all of our trips in the future, and we are going to keep it at our dining room table when at home so MG will be able to sit right at the table with us. MG will use it through her toddler years so it will get plenty of use. At $36.99 this is a reasonably priced and practical product for parents traveling with a baby. Although MG is starting solids, she is still nursing which I hope to continue at least until her first birthday. As I always say, if you are comfortable nursing in public without a cover go for it! I’m not though. When there is lots of family activity going on, or while on the road, it can be hard to find a private place to nurse. Therefore a quality nursing cover is essential. 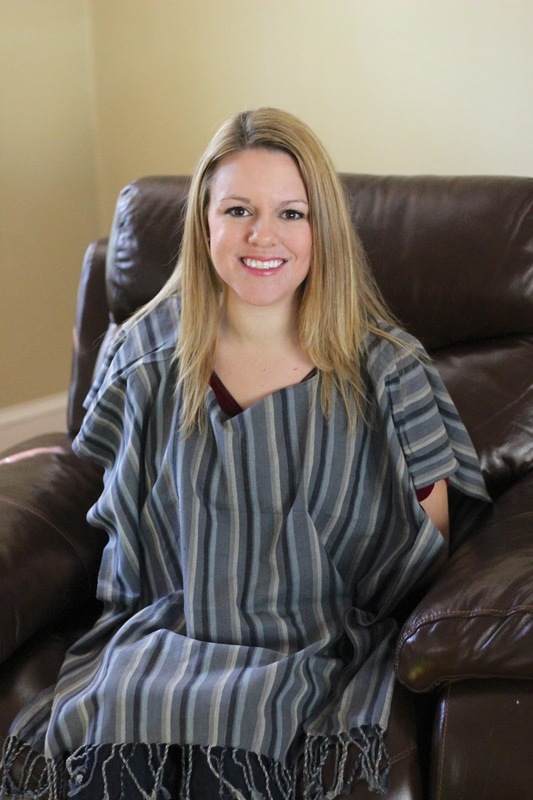 This poncho from Hip Baby Wrap is lovely and easy to throw on anywhere, and provides full coverage both in the front and back which I really like. 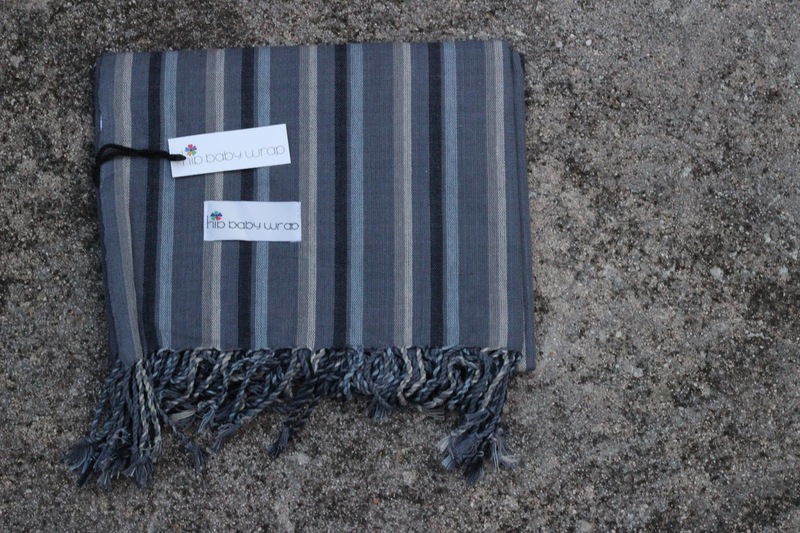 It’s a thicker fabric, though still breathable, but will double great as a blanket too in this chilly weather, making it great for a traveling mom who doesn’t want to carry along both a bulky blanket and a nursing cover. Have you heard of a bapron? 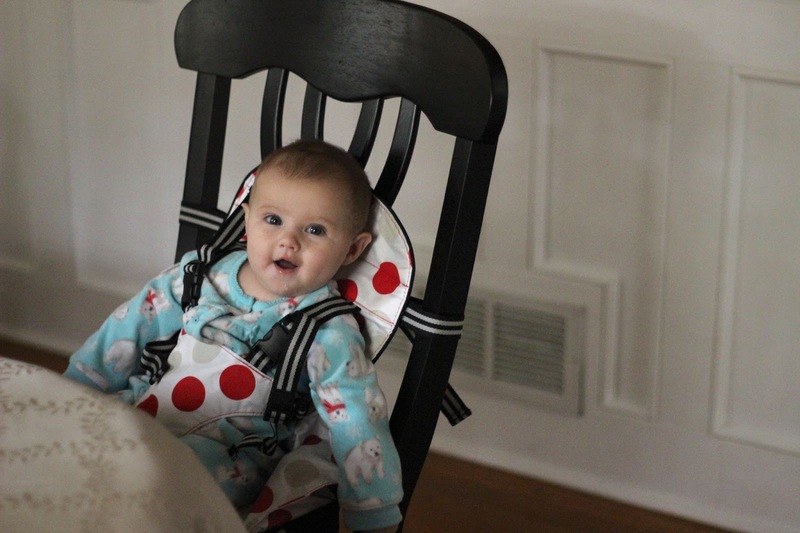 I hadn’t either until I researched best bibs for babies. 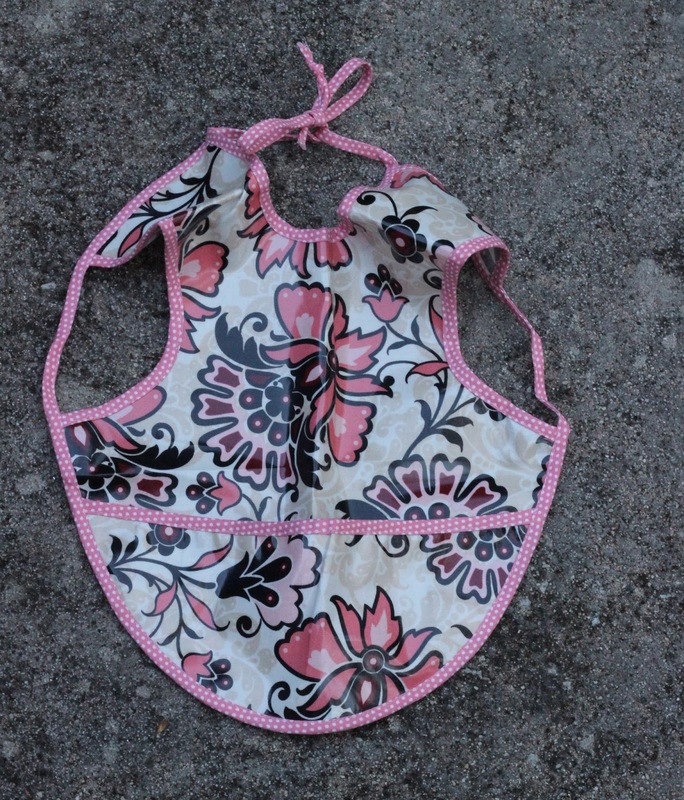 It is what it sounds like – a mix of a bib and an apron… genius. I mean, have you seen how messy babies are when they eat? Cinderkitten makes high quality handmade baprons in the cutest fabrics. 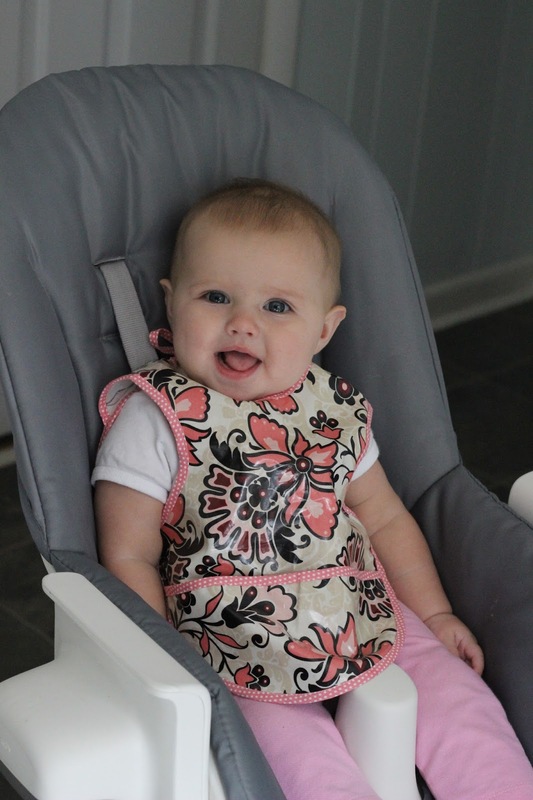 These aprons actually stay on Maddie Grace, who is great at pulling regular aprons off, and provide great coverage. Plus the pocket at the bottom is great for catching all those food particles that successfully evade babies mouth. The bapron is made of laminated cotton that is easy to wipe off or throw in the washer. The owner provides great customer service, and a little more about her is in the paragraph below. 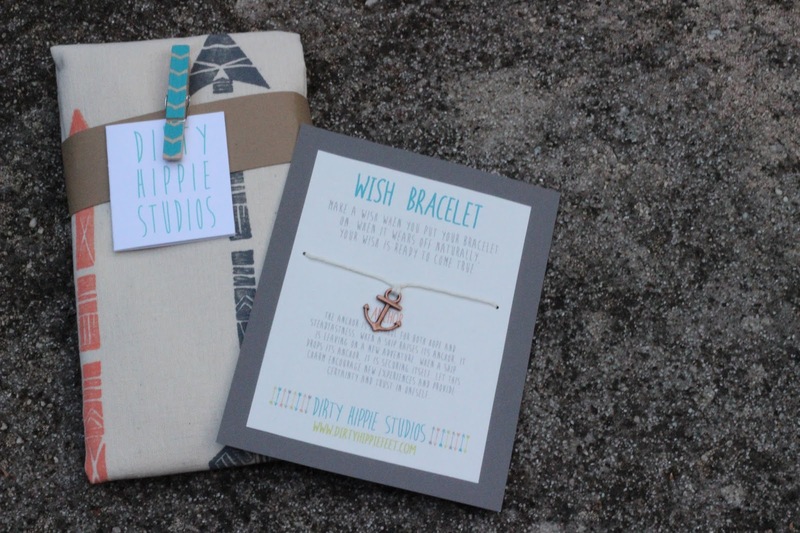 Go buy a few of your own and use the code claire15 for 15% off (through 11/31)! 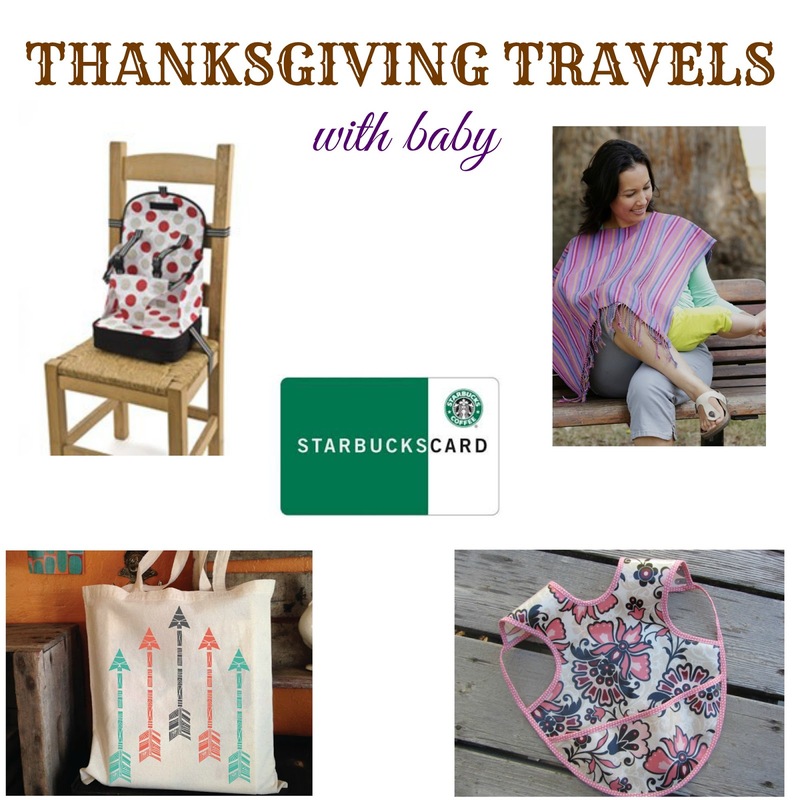 Moms need several cute tote bags for traveling. I use them for throwing toys and books into that we want to take with us. 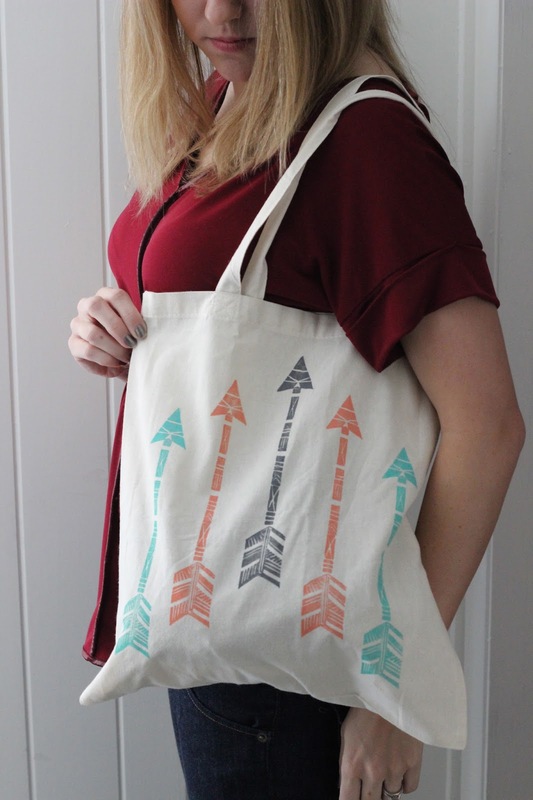 I’m loving all the adorable tote bags in stock at Dirty Hippie Studios (they also have adorable baby onesies so check those out while you’re there). Each tote bag is printed with a hand-carved block, and the designs do not wear off with washing. The bag I received arrived in the cutest packaging, and if you’ve ever read my blog before you know what a sucker I am for cute packaging. The bag is well made, adorable, and lives up to all my expectations. Not to mention practical – it will be getting a lot of use! I can't believe it either! Wasn't it just Summer yesterday? I love the booster seat! It's great that it can fold up and travel easily. We are traveling to my inlaws for Thanksgiving! Fingers crossed such an amazing giveaway! That'll be fun, I hope you have safe travels! They make the cutest stuff! I consider myself lucky that I haven't had to travel too much with my little man, now 22 months. But these are great products! What a sweet little baby. I was more entertain by that cute little kid. These items are great for travel. I love all of these items 🙂 I am going to a baby shower next weekend so now I have a lot of gift ideas! I know there are patterns for barons but I can't sew! I agree, and thank you! I hope you do as well! That bib is so genius! Thanks for introducing me to it! That chair looks super useful. Might have to look into this for next baby! I started making goo goo noises at the computer again. She is so cute and looks like such a happy baby! These are some great must haves too. I'll have to keep them in mind for down the line. I LOVE that bib! Cordelia constantly rips hers off, having it around the arms would help prevent that! Great list! We used a travel highchair that rolled up, it was perfect. Great list! So convenient for a cozy holiday!!! That seat + the apron looks like life savers. Such great list to think about when traveling espeially for the holidays. Okay, sweetest little baby ever!!! Her cheeks are precious! I traveled last Thanksgiving so we are staying put this year. We will be traveling to my in laws this Thanksgiving! A 12 hour drive…call us crazy! She is the cutest!!!! Your nursing cover looks way better than any of mine did. Looks like you've got a great plan for making it work while traveling. I would love any of those products! Thanks! Yes, hopefully it will be hosted by my lovely grandmother-in-law. Wow, looks like you're ready to go! Love the travel-friendly accessories, especially the 'booster seat'. Very cool. 🙂 Have a great trip! We aren't traveling this year, but probably will around Christmas. Our family is over a 20 hour drive away so it has to be a long vacation! I think she loves the seat. Her little smile is adorable! Hope you have fun at your trip! 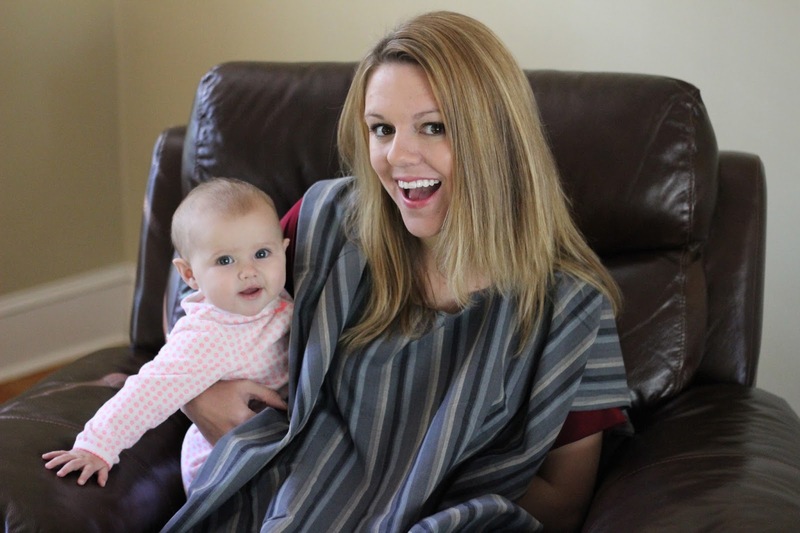 The nursing poncho and bapron are just brilliant! I wish I had known about them when my son was little.